Paul Nowell, also known as “Paul The Trombonist,” is a Los Angeles based music producer/songwriter/DJ/performer/educator/film maker and acclaimed trombonist. He has performed privately in front of celebrities including: Leonardo DiCaprio, Martin Scorsese, Sean Penn, Charlize Theron, Robert Pattinson, Zac Efron, Bill Maher and Ryan Seacrest to name a few. His videos of originally produced content have received tens of millions of views. His live show incorporates trombone and technology in a way never heard before. From Jazz/Pop/Hip-Hop and Dance music, Paul uses looping technology, keyboards, and trombone improvisation that will take you to another world. Paul Nowell, also known as “Paul The Trombonist,” has worked with a diverse array of icons, including Aretha Franklin, Noel Gallagher, Frankie Vallie, 10-time Grammy award-winning trumpeter Arturo Sandoval, and Bon Jovi keyboardist David Bryan. Paul is a child prodigy who has made good on his talents and has had an extraordinary career. Now, he shares his panoramic musicality with his debut album, Journey To The World, out March 7 th , 2017. The 10-track record is a visionary mix of chill electrosoul, hip-hop, jazz, and sublime melodic pop. Paul has built a robust creative profile as a producer, composer, DJ, educator, filmmaker, and acclaimed instrumentalist. He has performed privately in front of celebrities such as: Leonardo DiCaprio, Martin Scorsese, Sean Penn, Charlize Theron, Robert Pattinson, Zac Efron, Bill Maher and Ryan Seacrest, to name a few. His videos of originally produced content have garnered tens of millions of views. 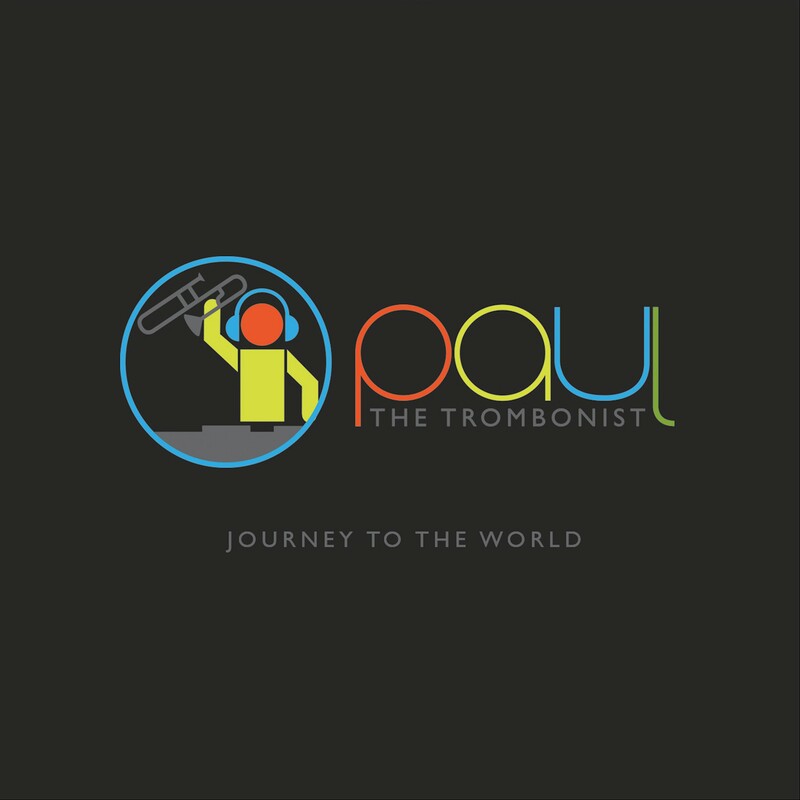 His album, Journey To The World, is a portal into the mind of Paul The Trombonist, showcasing his panache for mashing up cool retro sounds with sleek futuristic production. “Enchanted Garden” references minimal house music beats with swanky soul-jazz melodies. “Popcorn Butter” puts upfront glitchy grooves swathed in majestic electro-soul atmospherics. The title track exudes a stateliness that conjures Birth Of The Cool-era Miles Davis. Journey To The World boasts an all-star cast of Grammy award-winning recording and engineering personnel, including Tom Coyne (Adele, Justin Bieber, Taylor Swift, Sam Smith), Ryan Gilligan (Kanye West, Cee Lo Green, Busta Rhymes), and Steve Genewick (Paul McCartney, Michael Jackson). Paul is funding his album through a PledgeMusic campaign. Perks include intimate coffee hangs, signed Paul The Trombonist mouthpieces, handwritten sheet music, signed vinyl and CDs, executive producer credits, and public or private performance experiences, among other incentivizing gifts. Paul’s story is something of a jazz fantasy. As a teen wunderkind in Cleveland, he was discovered by none other than Duke Ellington’s nephew, Ron Ellington Shy of the Drifters and Coasters fame. Immediately after, Paul began working with Ellington Shy on his musical arrangements. He went onto play in jazz legend Chico Hamilton’s band, and tour the world as member of the Glenn Miller Orchestra. Ten-time Grammy winning trumpeter Arturo Sandoval recognized Paul’s talent, and together they created a series of online videos that have become a viral sensation and seen by millions. Paul graduated from Berklee College of Music on scholarship and has studied with some of the finest trombonists alive, such as legendary Phil Wilson. Today, Paul is an active performer whose live show incorporates trombone and technology in a way never heard before within the context of trombone-based music. Onstage, Paul uses looping technics, keyboards, and trombone improvisation for an otherworldly musical experience.